Traveling to Tuxtla from San Cristobal de las Casas is not difficult. 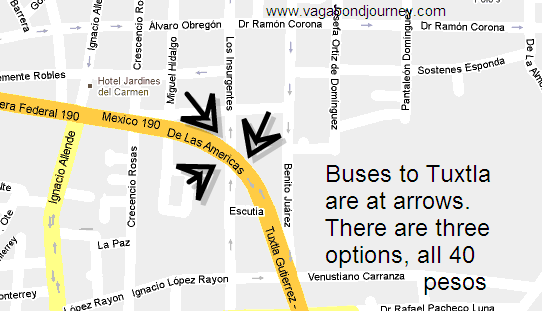 Just go walk south on Ave. Insurgentes to the highway De las Americas — the Tuxtla/ Gutierrez road. 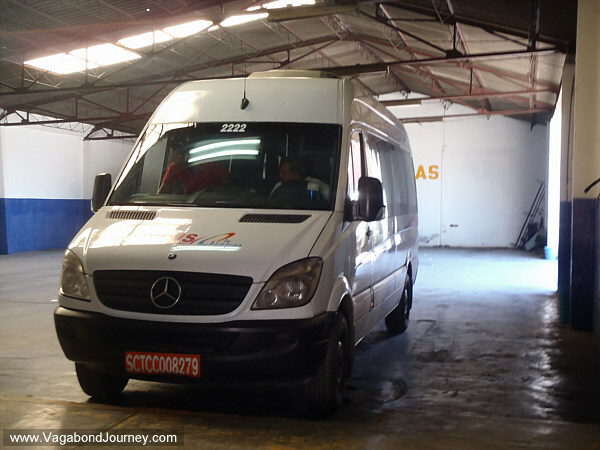 Here you will find three different minibus companies vying to take you to Tuxtla, they all cost the same price, but I went with one leaving from the bus station on the southwest corner of the intersection. The price of a bus ticket from San Cristobal de las Casas to Tuxtla is 40 pesos. It takes around 40 minutes to get between the two cities.